The CD-ROM will be shipped to you. Mobile payments are used by more than a third of Internet users globally, quoted this latest report. The Asia-Pacific region outperforms the rest of the global regions by a double-digit lead. The Chinese market for mobile payments alone holds over half a billion users, using services such as WeChat Pay, Alipay and others. The region also sees growth in this area in Singapore, India, Australia and Indonesia. In regard to interest in mobile payments, Latin America follows Asia-Pacific, as cited by the report. In other regions, mobile wallets including Apple Pay and Google Pay have gained popularity in E-Commerce payments, for example in the USA and Europe. The Middle East and Africa still are driven by cash, but new mobile money and mobile wallet solutions are projected to obtain an increased market share. Despite security concerns over mobile payments from consumers, the global market outlook remains positive. Security innovations in the mobile payments sphere including biometric authentication are projected to aid consumers in overcoming this issue, according to the report. How fast are contactless mobile payments predicted to grow? What are the top mobile wallets worldwide? What countries are leading in terms of mobile payment usage? What are the major drivers and barriers of mobile payment adoption? What are consumers’ perceptions regarding the security of mobile payments? More than one in three Internet users worldwide used mobile payments, according to a survey cited in the report. Asia-Pacific is ahead with a +10 percentage point lead over the second rank. In China alone, over half a billion people make payments via mobile devices. The usage cases of Alipay, WeChat Pay and similar mobile payment services, include online shopping, settling utility bills, paying in restaurants and entertainment venues, in malls and convenience stores. Other countries in Asia-Pacific with a high mobile payment growth potential include India, Indonesia and Singapore. Furthermore, with the help of mobile and card-based payments, Australia is projected to become the region’s first cashless society by 2022. 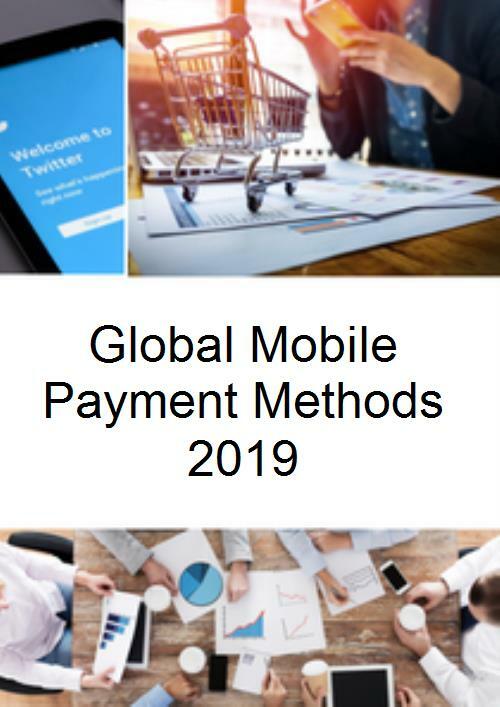 Latin America ranked second after the countries of Asia-Pacific, with regard to interest in mobile payments as of 2018, according to the report. In Europe, mobile wallets such as Apple Pay and Google Pay already gained a singledigit percentage share of E-Commerce sales, and in the USA this figure was twice as high. In the Middle East and Africa, cash payments still dominate both digital and storebased shopping, but emerging mobile wallet and mobile money solutions are expected to gain a higher market share in the future, as consumer adoption rises. Overall, the outlook for the global mobile payments market stays positive, despite consumers still having concerns over the security of such payment means. New fraud protection and authentication technologies based on biometrics are expected to help users overcome this fear. In a 2018 survey cited by the author, two in three respondents said they would be willing to use biometric authentication to safeguard their payment details.